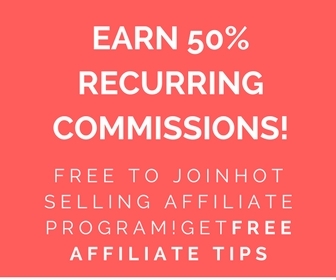 Get Paid 50% Recurring Commissions Every Month With One of The Hottest Selling Advertising Affiliate Programs! Classified Ad Submissions Are Hot Sellers! We Pay Out $1000's in Commissions Each Month! Classified ad submissions are hot! People understand classified ad marketing because it has been around forever and it still works. Just look at the thousands of ads that are posted daily on major classified ad sites not to mention the thousands of other niche classified ads sites. Classified ads marketing is thriving. The problem is that it is very tedious and time consuming submitting all those classified ads. This is where we come in. We do all the time consuming work for the client and we do it every month non-stop. We are selling this program like crazy and now you can profit from our classified ads marketing service by joining our affiliate program for free now here. Earn Up to $98.50 Commission Per Sale! If you have been doing affiliate marketing for over a week you will know that some programs are hot and others are not. This program is hot! It sells itself. People are dying to have somebody post their classified ads for them. Your market are the 10s of thousands of people who are posting classified ads daily! You get paid a 50% commission on the $39.95 monthly fee every month! This comes to $19.75 per month per sale per month on one of the easiest programs to sell ever. You receive $98.50 per year on each yearly referral! Plus since we over deliver on the service clients generally are staying subscribed. People are sticking to this service because it works! This program pays 50% recurring commissions on one level and is NOT a Multi Level program. Classified Ad Submissions Sells Like Crazy And Your List Will Love It! 1 Monthly Sale= $19.75 per month or $237. per year. 1 Yearly Sale Per Day= $2955 Per Month! 3 Yearly Sales Per Day= $8865. Per Month! 5 Yearly Sales Per Day= $14,775 Per Month! Now before you get too excited we cannot guarantee that you will make this much money. It all depends on your abilities, and individual efforts. The higher numbers are NOT typical but we do regularly pay out commissions every month and we have some affiliates who have made thousands in commissions with us and continue to make commissions each month. However, if you make the sales, we do guarantee to pay you! Why You Should Consider Joining The Classified Submissions Team! Classified Ad Submissions Are Hot! This Is An Easy Sell! Top Notch Professional Banners And Sales Material Ready For You To Use Now. Unlimited Market- There Are Thousands Of People Posting Classified Ads Everyday. These Are All Your Prospects! Unlimited Market- There Are Thousands Of People Posting Classified Ads Everyday. Customers Are Happy And Many Stay Subscribed. Your List Will Love You For Recommending This Service. Referrals Are Tracked For One Year. If A Customer Orders One Year After Clicking Your Link You Get Credit. Great Support And Ninja Affiliate Tips To Help You Make More Money. We Want You To Be Successful! We Have Multiple Autoresponders Following Up With Your Leads. There Are No Affiliate Links In The Follow Ups So You Get Full Credit For The Sale Even If Somebody Orders After The 10th Email Follow Up! Professional Banners And Proven Sales Letters To Help You Sell More Effectively Plus Full Friendly Support! We have made it easy to sell this service. We have fantastic professional banners of all sizes that you can use on your websites, blogs, social media pages, traffic exchanges and banner advertising campaigns. Commissions are paid out once per month. You may contact us anytime with questions here. We are here to help you succeed! Visit Here to Join The Team Now for Free! We pay once per month directly to your Paypal account. It's free. See here to join now. You do not have to have a website. When you fill out the sign up form just put http://www.classifiedsubmissions.com as your website if you wish. Join our newsletter and get super affiliate tips every 4 days. Join The Classified Submissions FREE Affiliate Tips Newsletter and Learn How We Have Made Over $200k With Classified Submissions. Learn How We Have Sold 5000+ Monthly Memberships! Join The Classified Submissions Affiliate Newsletter and Get FREE Weekly Affiliate Marketing Tips.